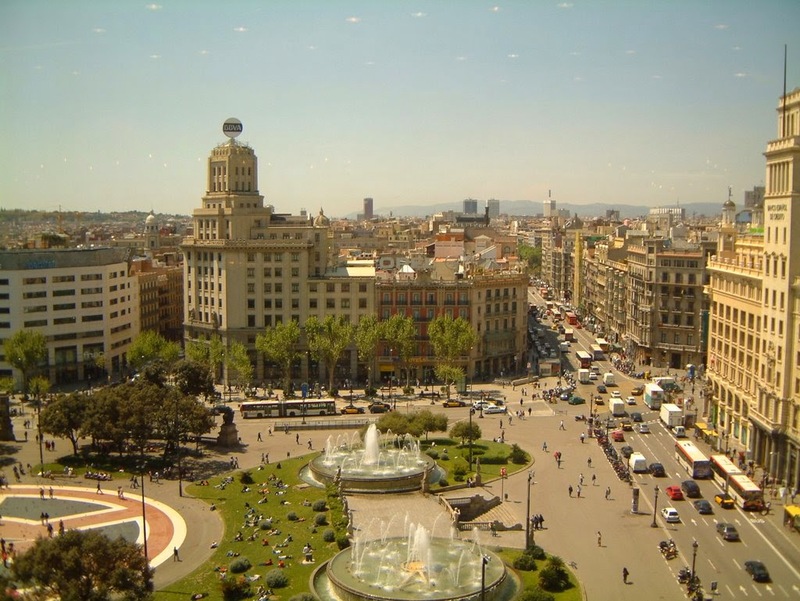 Tourist attractions in Barcelona start from Plaça de Catalunya in other words Catalunya Square. It's best known as being the heart of the city. In Barcelona city, you can access anywhere from this square. All buses or metro lines nearly pass by this square. You can walk through Las Ramblas street in a couple of minutes or you can walk through Passeig de Gracia street. If you want you can walk to El Born district which is one of the famous streets in Barcelona. If you want to meet a friend you can point this square as a meeting area. Catalunya Square is always full of people. It's nice to spend some time there and watching the people passing by and the birds flying around you. Generally, big shopping malls are located in this area and you can get on airport buses at this square. In the middle of the square you can see the stairs statue stands reverse. Around the square you will see Apple Store and some Hard Rock cafes. We highly recommend you have a rest if you like at Zurich cafe stands in the middle of the square. In Christmas time there is always a big ice skating area and you can have enjoyable time with many people at the same time. All outstanding buildings stand at the square to be discovered. If you like to get on ''hop off hop on'' buses the square is the best place. We will continue to write about some important squares in Barcelona city. We are happy to make your holiday in Barcelona better. For more things to do in Barcelona city please follow your Barcelona travel guide. Here below there is a video showing what is going in Catalunya Square. We would like to thank Abed El Rahman for the video. Thank you. Enjoy the video.